What a wonderful place to call home! This grand colonial showcases the best of the old world charm w/todayâs modern amenities. Serenely situated on a tree lined street this 3/4 bdrm, sun drenched home, truly reflects the pride of ownership w/all of itâs updates & classic features. Traditional enclosed front porch leads you into a large gracious entry foyer w/preserved natural woodwork, beautiful heâd floors, and a turned staircase. French doors from living room open to either dining room or family room, your choice! Large newer kitchen addition, has all the features any cook needs. Upgraded 42â cabinets, pantry, bkfst counter, loads of recessed lights, separate dining area and more. If thatâs not enough, a lge walk-in storage closet off din area will seal the deal! 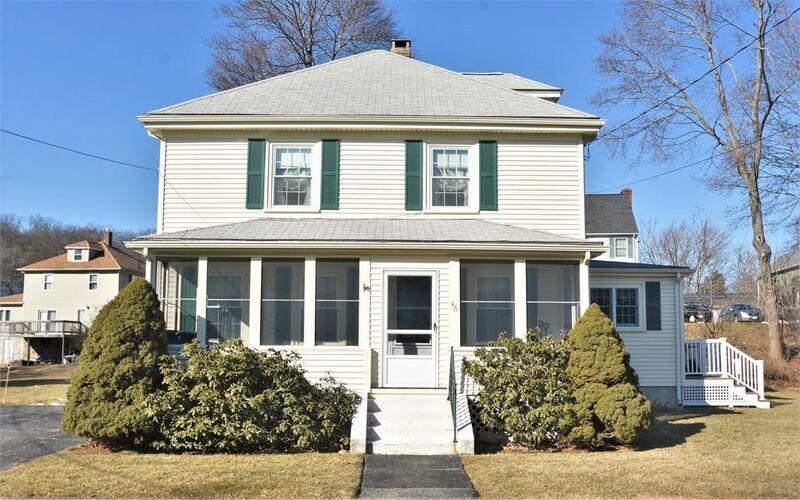 2nd floor offers 3 generous sized bdrms, updated bath & office or 4th br plus walk up third floor w/plenty of room to expand. Close to everything, award winning restaurants, Horn Pond, highways and shop and walk to bus.